One of the biggest trends of NYFWM fall 2017 was one of resistance. From protest signs to more subtle messages of inclusion; designers were making statements across all of their collections. This season, Rochambeau designers Joshua Copper and Laurence Chandler dug deep into the punk scene of the 1980s for their muse. The duo first looked to the imagery of Henry Rollins' Hot Animal Machine album. They tracked down the man behind the cover who turned out to be DEVO's Mark Mothersbaugh to collaborate. Other influences included the acts of other subversive performers, like Tupac Shakur's performance in Bishop and the booking of the band FEAR on Saturday Night Live due to John Belushi insistence. 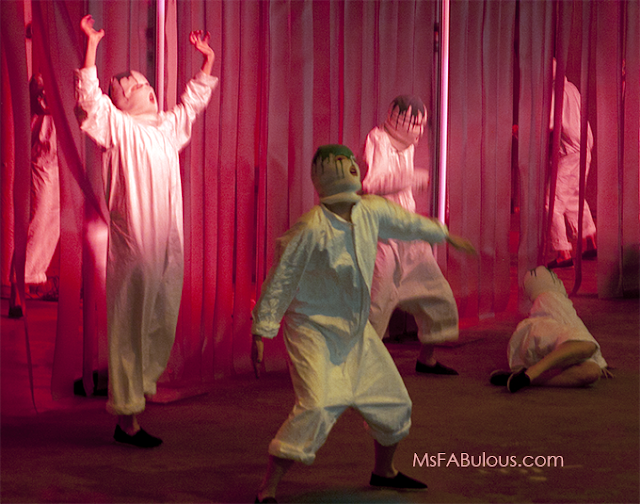 The runway show opened with disturbed dancers in masks, jumpsuits and dripped paint styled on their head. They continued to set the mood of anarchy throughout the presentation. The clothing features Peruvian knits, protest messages, oversized graphics and embroideries. The designers also added lots of hidden details that could only be appreciated when the clothing is examined up close. The models were also styled in dripped paint, but also fishnet masks, safety pinned anarchy notes and combat boots. Rochambeau Fall 2017 continues to keep ahead of the menswear game. 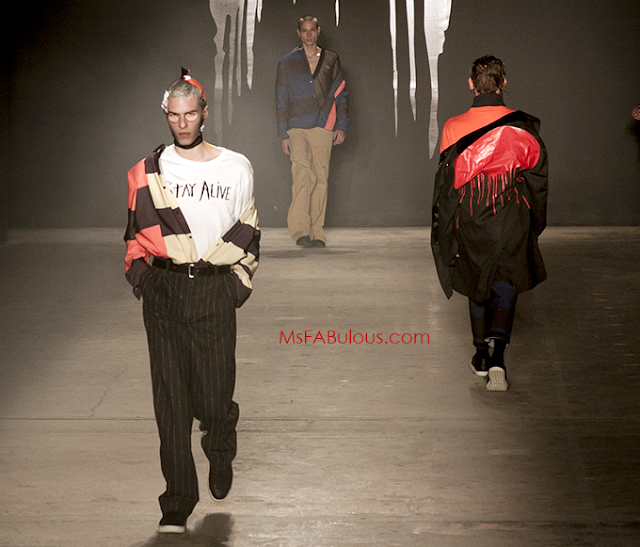 Their anti-establishment message serves to make all of NYFWM their rabid fans. Welcome to Anarchy in the USA.